Michael is the founder of Stratum Legal Pty Ltd. He is also a Fellow of the Australian College of Community Association Lawyers, a member of the legal panel of the Australian Resident Accommodation Managers Association (Qld) and the inaugural chair of the legislative committee of Strata Community Australia (Qld). 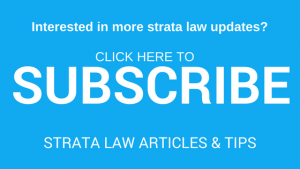 Michael currently writes on practical strata subjects for Thomson Reuters Property Law Review, gives roughly a presentation a month and regularly contributes to strata law reform.